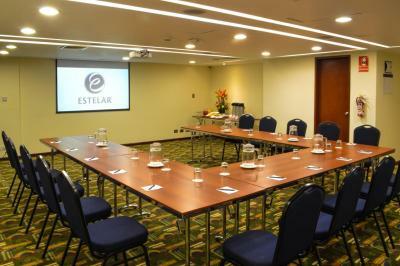 Lock in a great price for Hotel Estelar Miraflores – rated 8.5 by recent guests! Staff was friendly. Room was very clean. Restaurant was nice for breakfast which was very good in Latin world. Loved the fresh fruit. Anything gets boring after 8 days. Grocery and places to eat nearby and money exchange places very close as hotel did not have money. Park Kennedy is 4 blocks away and nice. Mall is about 7 blocks away. The thing I liked most was Turismo city Tour 88 solis or $25 US. We just walked up to double-decker bus near mall and Marriot hotel. ( The main Cathedral is historical and awesome). Edwin was tour guide and very nice and informative. Also he speaks English. Nicest thing was leaving and arriving back in sunny Santiago, Chile where I live half a year. I am a US citizen as you might have guessed. 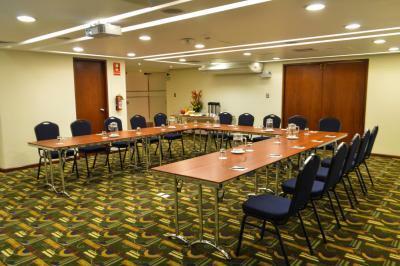 The location of the hotel was excellent within walking distance from the center of Miraflores and the beach. The room was a bit small. The staff was very friendly and accommodating, but sometimes it was difficult to communicate because their English was not as good as one would expect in a 4 star hotel. 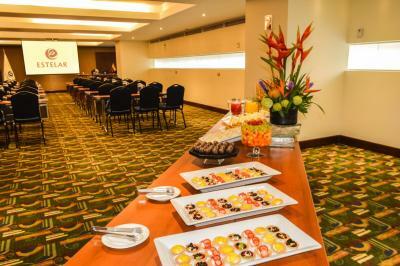 The location of the hotel was excellent within walking distance from the center of Miraflores and the beach. The staff was very friendly and accommodating, but sometimes it was difficult to communicate because their English was not as good as one would expect in a 4 star hotel. This hotel is a very great value for your money. The service is spot on and the staff are very polite and helpful. Everybody was ready to help or be at service to us. The check-in process was quick. The breakfast was very elaborate with everything you would need or think of. The rooms are spacious, clean, and comfortable. Ask for a room at a high floor and you'll love the views. The location of the hotel is very adequate, being close to everything you would need. Restaurants, some shopping places, Huaca Pucllana, Larcomar, parks, etc. The area is very very clean and safe to wander around even late at night. Awesome hotel at a awesome location. 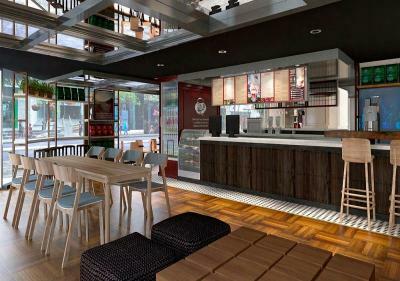 And, there's a Juan Valdez Café and the lobby. We stayed as a couple and loved it. But as a family it would definitely be wonderful also. 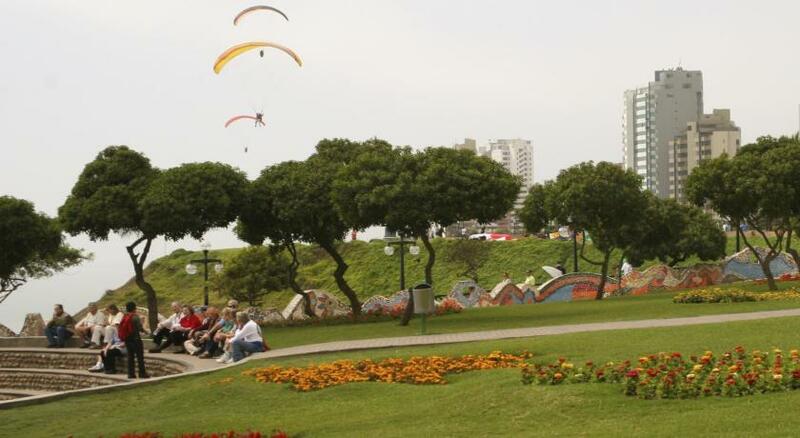 I generally did not enjoy Lima or Miraflores and don't have a very favorable impression of the city and neighborhood. The hotel was very accommodating and provided a welcome drink at its sky bar. 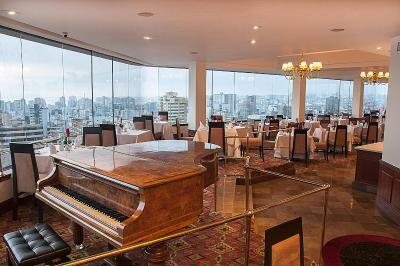 The breakfast was served in the restaurant at one of the top floors and was good. The rooms were a little musky and stale, air did not circulate well. It was just not as comfortable as I would have expected from such a hotel and its price. It is in a good location in Miraflores, blocks from the ocean. Wonderful staff. Free upgrade at check in. Great food in restaurant. Very helpful when asked to solve problems. The staff at this hotel were fantastic. We stayed for one month and rooms were clean and comfortable. The food at the restaurant was excellent. We were treated with courtesy and respect by every member of the Estelar staff. It was a very rewarding experience and when we return to Lima Estelar will be a place we choose to stay. Location was convenient to shops, groceries, Larcomar. Was giving an upgrade when checking in at no extra cost. Sorroundings have plenty of good restaurants. Biggest mall in Lima at 7 minutes walking. The hotel is a good, safe location. The bell service and cleaning staff were attentive and accommodating. They seemed genuinely interested in the comfort of the guests. 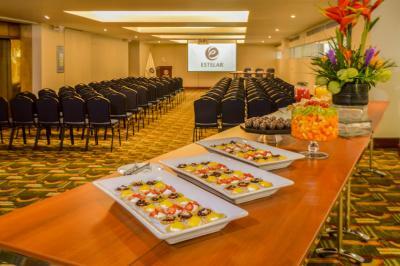 Hotel Estelar Miraflores This rating is a reflection of how the property compares to the industry standard when it comes to price, facilities and services available. It's based on a self-evaluation by the property. Use this rating to help choose your stay! 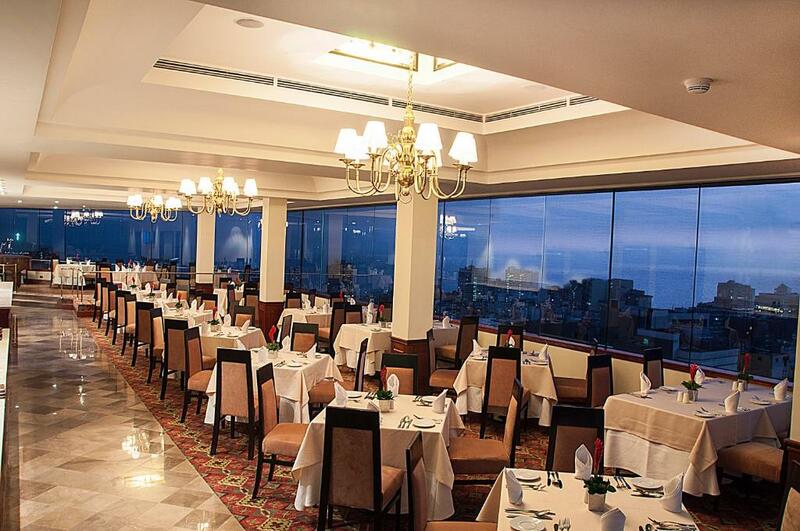 One of our top picks in Lima.In Lima’s Miraflores District, Hotel Estelar Miraflores offers 5-star accommodations and free Wi-Fi. 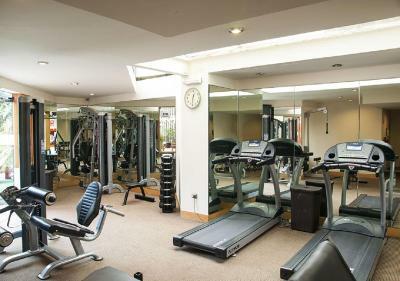 It is a 30 minute drive from Jorge Chavez International Airport and 20 minutes from downtown Lima. 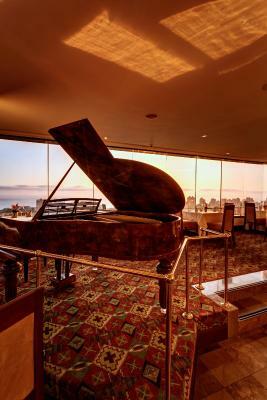 All of the spacious rooms have panoramic city and ocean views. 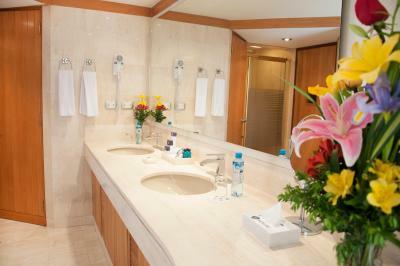 They are fully equipped with modern facilities, including LCD TVs, air conditioning and marble bathrooms. 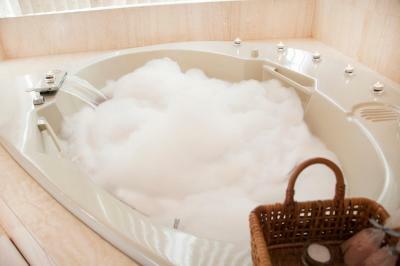 Some rooms feature a hydro-massage bathtub. On the 21st floor there is a restaurant overlooking the city and the sea. Both the restaurant and the lobby bar open daily, serving traditional and international cuisine, as well as a daily breakfast. 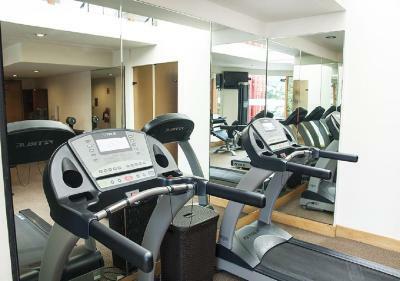 The hotel also offers free private parking and a business center for guest use. 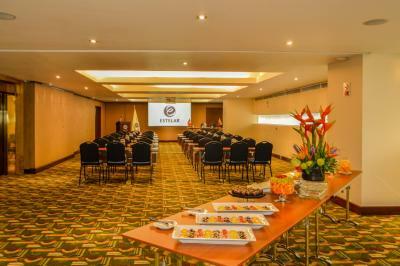 When would you like to stay at Hotel Estelar Miraflores? This elegant room features air conditioning, a minibar, plasma TV, telephone, breakfast area and marble bathroom with a bathtub. A stylish room featuring air conditioning, a flat-screen TV and a marble bathroom. This stylish suite includes a large separate living room with a work desk, a luxurious marble bathroom with a hot tub, a flat-screen cable TV, and a minibar. The room features a flat-screen cable TV, minibar, air conditioning and a marble bathroom. This stylish room includes a sauna, hot tub, lounge area, minibar, telephone, flat-screen TV and free Wi-Fi. This double room has a cable TV, view and air conditioning. 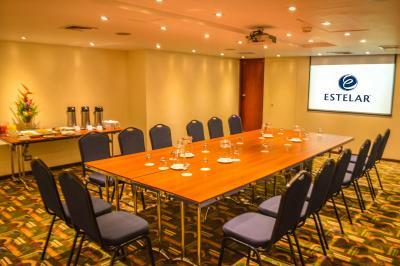 Hotel Estelar Miraflores awaits for you in the corporate and touristic center of Lima. 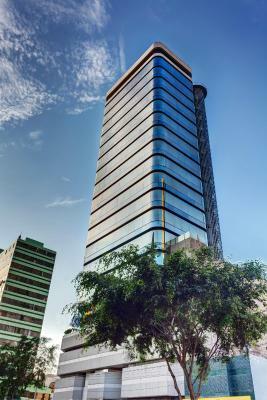 Located on the most exclusive area of the city, surrounded by spacious and modern commercial areas, several cultural attractions and pleasant green areas. 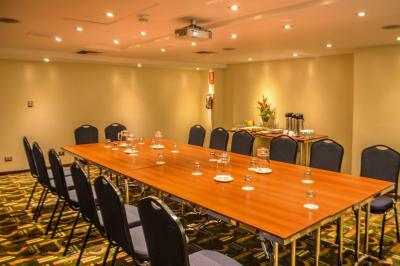 The hotel offers and has all the facilities you may need for your business, travel and meetings. 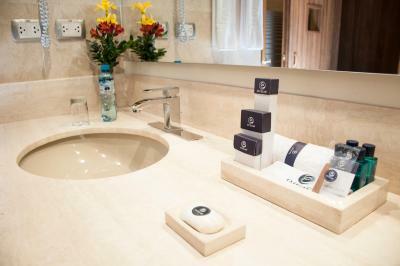 House Rules Hotel Estelar Miraflores takes special requests – add in the next step! Hotel Estelar Miraflores accepts these cards and reserves the right to temporarily hold an amount prior to arrival. Please note that the breakfast buffet is included for 2 adults or 1 adult and 1 child. Reservation does not include the breakfast buffet for additional children or additional adults. Foreign business travelers who require an invoice under the name of your company, will also be charged the additional 18% regardless of the length of their stay in Peru. This fee is not automatically calculated in the total costs for the reservation. The seat on the working table inside the room is not appropriated for being long time seated working in computer. Silent room, excellent bed and good TV screen. For a 5 star hotel, needs a better outlook. The choice of available channels on tv and the internet was good. I could hear a bit the children next door. 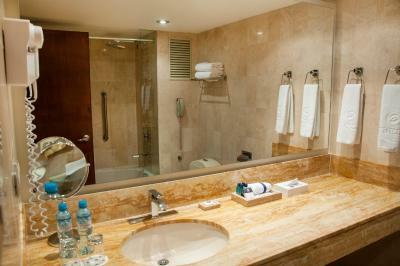 Had premium king room on 16th floor with sauna and spa tub. Sauna did not work for 2 days and 3 calls. Also A/C issue. Room was very blah definitely not 5 Star....3.5-4 only because of size and bathroom good. No blanket for bed or ice bucket available and only 2 towels (had to shop for wash cloths). The view of ghetto rooftops along with crappy overcast sky everyday looked more like Seattle. Lima is high on a cliff not convenient to beach. Larcomar Mall is underground which was nice though bizarre and hard to find. Its across from Marriot Hotel which is super nice and popular. The breakfast is very rich, but maybe it would be better to focus on 2-3 warm dishes and focus on the continental breakfast items a bit more. The staff was very helpful and always friendly. I booked meeting rooms and used the laundry service, which was a big help during this business trip.